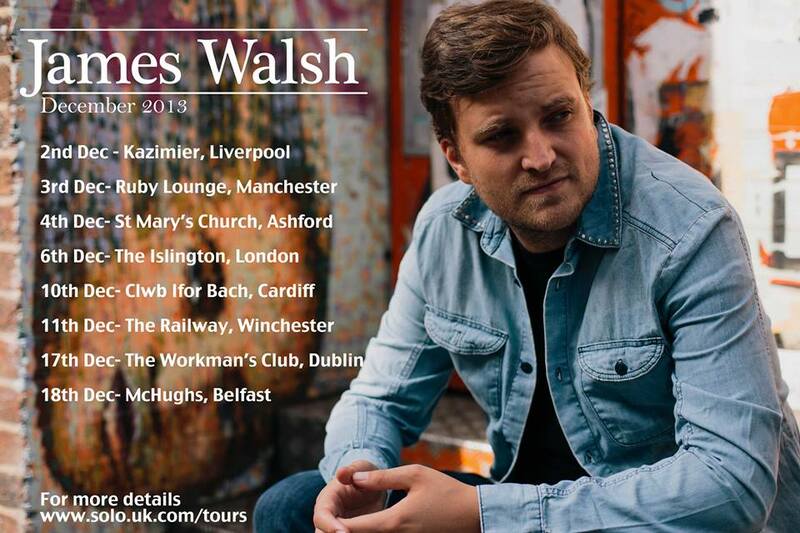 This week former Starsailor front-man James Walsh returns to his native North-West, showcasing songs from his new album in Liverpool and Manchester. The talented singer/songwriter will be at The Kazimier, Wolstenholme Square, Liverpool, on Monday, December 2, then the following night at The Ruby Lounge, High Street, Manchester, the first of eight relatively intimate dates on the run up to Christmas. He continues with more of the same in Ashford, Islington, Cardiff, Winchester then crosses the Irish Sea to play Dublin then close to his home base in Belfast on December 18, before a December 27 gig in Zermatt, Switzerland. Furthermore, word has it that his album is almost mixed, and – let’s face it – James is currently on something of a high, having successfully gambled on a new marketing approach to the music business. 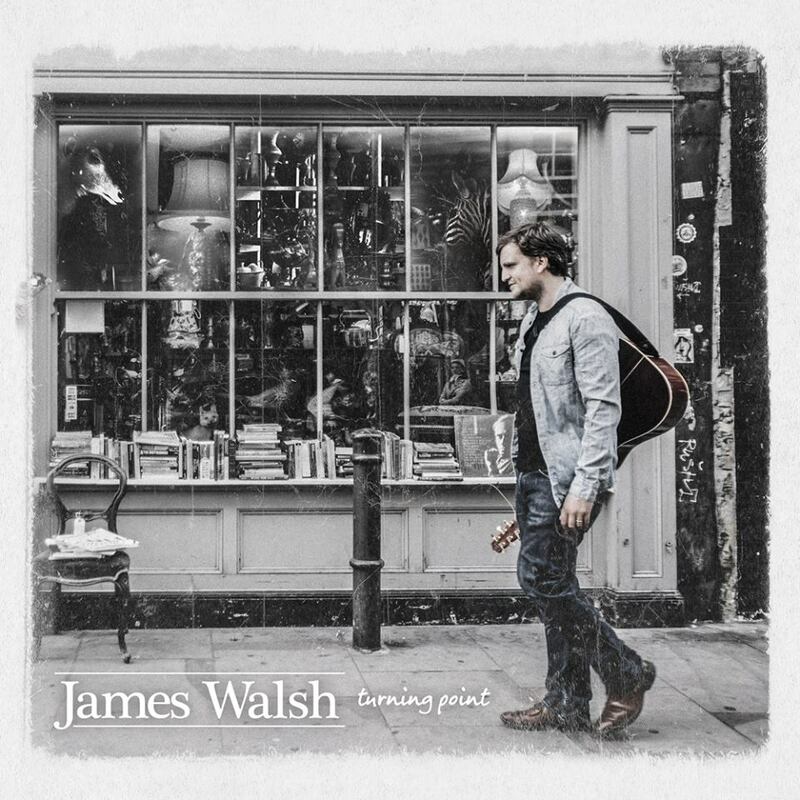 James has been recording his debut solo album, Turning Point, having been impressed enough by the PledgeMusic concept to take the plunge himself. The Chorley-born songwriter enjoyed critical acclaim with his band’s 2001 debut LP Love is Here and further success with 2002’s Silence Is Easy, both No.2 chart hits. Starsailor, who met at Wigan and Leigh College, went on to record two more albums, enjoying 10 top 40 hits, but 2009’s All The Plans was their last. 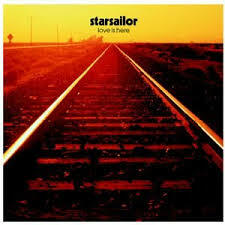 I’ve been listening to that last album again recently, and retrospectively see that Starsailor were perhaps just victims of the short shelf life meted out to so many bands. I’d go as far as to say it was every bit as good a recording as they’d ever made, but somehow passed by the larger buying public. But James was not deterred, instead throwing all his energies into other projects, which nicely led on to where he is now. Four years on, after a number of semi-successful side-projects, James has rallied his loyal fan-base via social media, giving them a chance to play a part in Turning Point. That ranged from pre-ordering the album to booking gigs in their own home and visiting the studio while he records. And by the beginning of December he had 387 pledges and had reached 158% of his target, way before the album was due to be released. 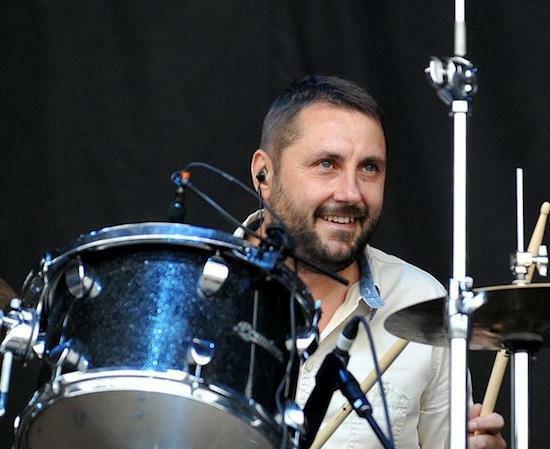 The campaign includes a five per cent donation to the Brain Tumour Foundation, in memory of The Charlatans’ drummer Jon Brookes, who died in August, aged just 44, following a battle with brain cancer. “We played with The Charlatans numerous times, did a big American tour together, and got on with all the band. Jon was the life and soul. Drummers are often the glue that bind bands together. “Us singers and guitarists can be more introverted. You need a gregarious, friendly drummer. He was certainly that for them. It was a sad loss. James, 33, now commutes between Northern Ireland, with his wife Lisa and children, Niamh, 11, and Cillian, five, and London. So does he still keep in touch with college friends and family around Lancashire? And where exactly is home? “Probably somewhere in the middle of the Irish Sea. I spend a lot of time in London with work, but regard Ballymena as home. Last time I saw James live was at Lancaster Library in late 2009, rocking the large print section with Lightning Seeds frontman Ian Broudie on one of his first solo shows, on what was certainly a night to remember. So where is he at with Starsailor? Is there an end date on that hiatus? James added that band-mate Stel (Warrington bassist James Stelfox) is currently touring with Spiritualised, while keyboard player Barry Westhead and drummer Ben Byrne are teaching music. Last time I saw James with Starsailor was at the Jabez Clegg in Manchester in late 2007, showcasing their third album, On The Outside. There were bigger shows around then, but it struck me that James was far happier with the smaller shows, happily chatting away to his audience between songs. He said: “I guess so. It’s easy to get lost in a huge venue, but the exception I’d make would be that you can’t beat a great festival. Does the fact that you perform and do all this fly in the face of the fact that you once saw yourself as a shy and lonely lad? Did music give you that confidence? So does he miss the buzz of those big gigs, the world tours, Rolling Stones supports, Simple Minds, and all that?with his old band? And how is it that someone who always classed himself as shy can play to all those people? “I felt very comfortable on stage doing my thing. It gave me confidence. I still get to do the odd support too, as with Sting and Bon Jovi. “The longer it goes on because you meet a lot of musicians who’ve spent a couple of years in the limelight, going back to the normal world. I appreciate that I’m still getting offers like that 10 years later. 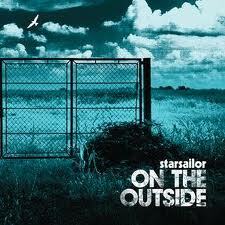 Do you think the solo material has taken you further away from your Starsailor days? “I think it was a natural progression. So few bands have the longevity and continued success of The Charlatans, The Killers, Coldplay. “It was a good time to pursue a career while still reasonably successful, with people wanting to work with me, not so massively successful that I was letting people down by having multi-million pound world tours on the table. “For personal reasons it felt like a good time to move on. We really put everything into the fourth album, and felt we couldn’t possibly make a better record. Hence Turning Point, four years later. 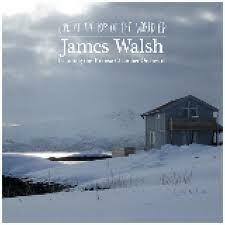 But this isn’t his first solo product, his impressive Live At the Top of the World EP recorded in northern Norway in 2010, followed by the Lullaby and Powder film soundtracks, and this year’s Time is Nigh EP. “I guess the confusion arose as Lullaby was originally conceived as a film soundtrack. We were sent a script and visual ideas for a film. But then it was agreed by those making the film that it was going to be released as a stand-alone album. 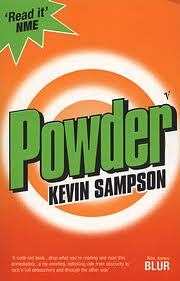 His work on Powder, based on Kevin Sampson’s story, was something he could definitely relate to, a tale of a band, at least partly inspired by Wigan’s The Verve. The new material certainly won’t disappoint Starsailor fans, judging by Time is Nigh. And he’s enjoying the challenge of starting again, without the big label stress. “It’s been good to be away from the pressure of having to have things chart and get on the radio. The audience for the solo stuff will come, it’s just a much slower process. He’s also got to work with a few names in recent times, including further live slots with Sheryl Crow and Simple Minds, and recording with Suzanne Vega. “It’s been great with Suzanne. She’s an incredible artist. I’ve done a couple of gigs with her too. She’s always maintained a respectful career, had a few hits, but managed to keep a profile. Definitely someone I admire and aspire to be like. “I’ve done a few dance music collaborations that are also coming to the surface. I’ve also worked on Matt Cardle and Eliza Doolittle’s albums. It’s nice to have that little bit extra. So what can we expect in Liverpool, Manchester and beyond as he sees the year out in style? And what advice might he give himself if he could turn back the clock 15 years, with Starsailor about to hit the big time? “Soak it up and appreciate it all. It’s an amazing opportunity. It’s easy to get carried away and think this is normal, you soon realise it’s not. This entry was posted in Books Films, TV & Radio, Music and tagged Ballymena, Belfast, chorley, James Walsh, Jon Brookes, Lanchester, Lightning Seeds, Liverpool, PledgeMusic, Starsailor, Suzanne Vega, The Charlatans, Turning Point. Bookmark the permalink.